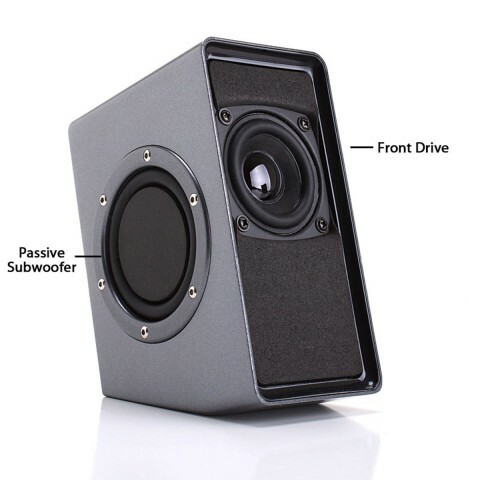 Don't let these speakers fool you! Feel the bass and immerse yourself within the full ranged stereo sound through the O2's 50mm drivers supported by 14 watts of peak power. 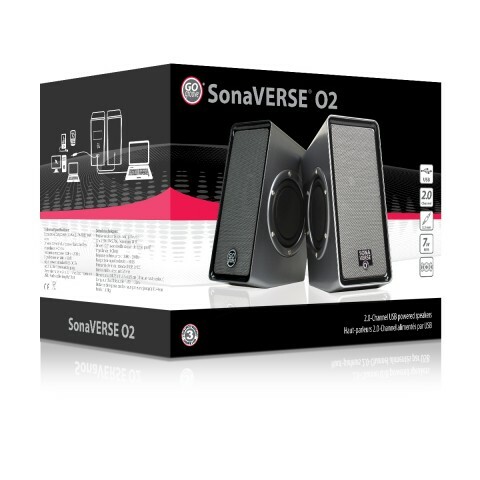 The GOgroove SonaWAVE O2 2.0-channel speakers deliver rich sound with enhanced bass. 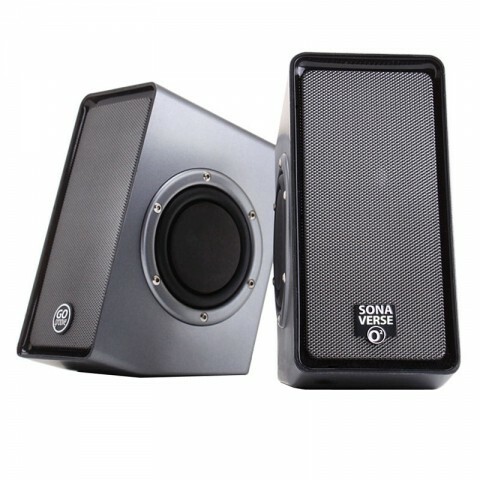 The dual passive woofers deliver deep bass while the front-loaded 2-inch drivers pump out rich, full-range audio you can feel as well as hear. 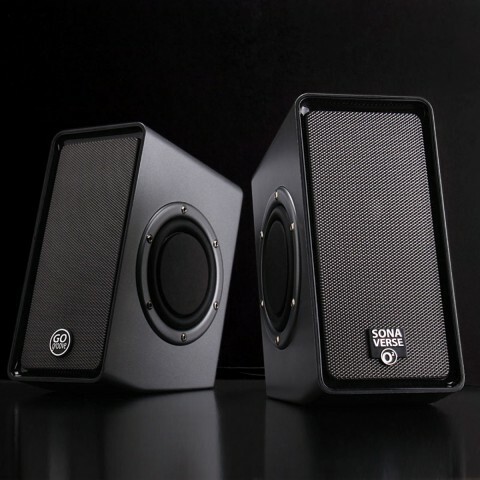 With polished metal mesh and side-loaded passive woofers, the O2 has a design that will add style to ANY setup - home, office, dorm, etc. 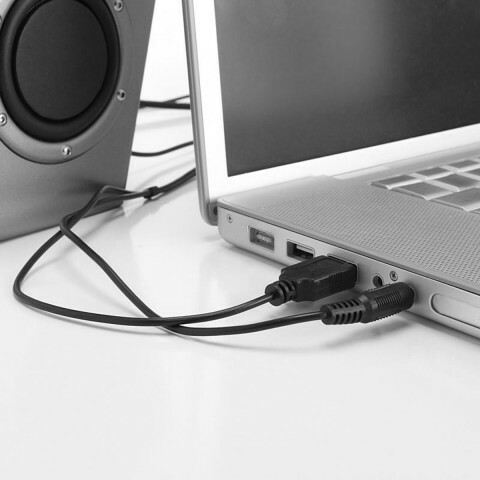 Plug-N-Play USB design powers from USB port with no external power adapters required. 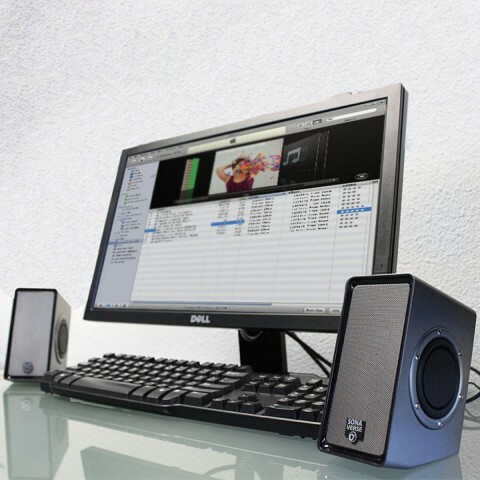 Rear-loaded volume control allows for quick audio adjustment. 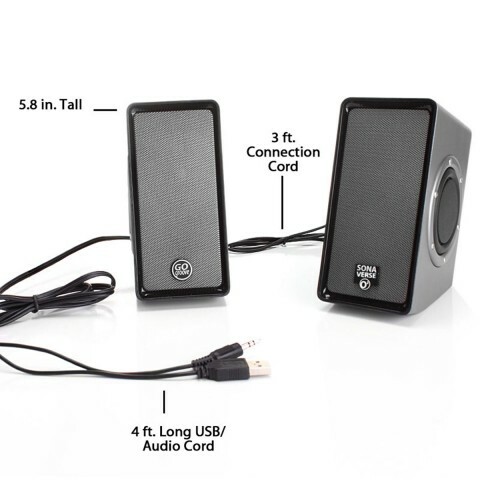 3.5mm audio connection plays music from computer or other audio devices like MP3 players, tablets & smartphones. Compact design makes relocation easy and hassle-free.